The heavier the world feels on your shoulders, the more you need a light and dainty beat to move to. 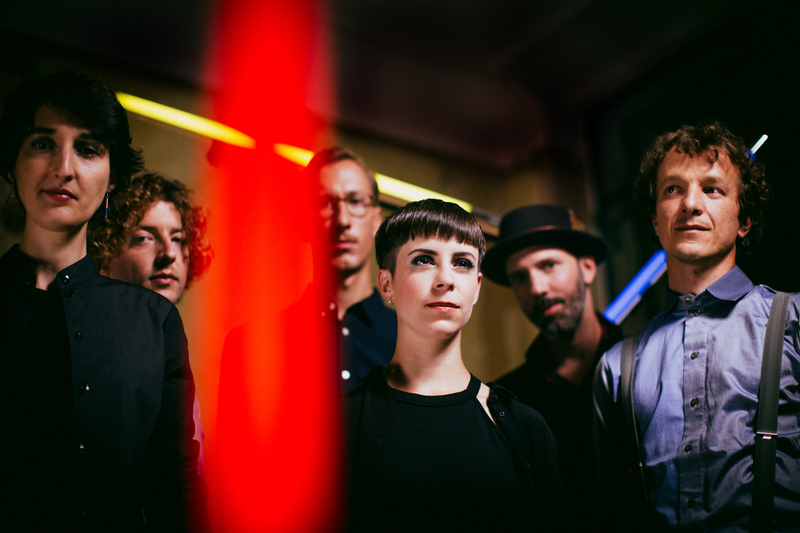 With Steady As She Goes, Berlin-based band Holler My Dear are releasing a disco-folk album that works the current gloomy state of affairs into bouncy tunes. The world keeps on turning, the beat goes on – and so does our boat trip: Laura Winkler’s athletic, silky vocals float between escapism and escalation, paint with sound, make the loud sound soft and sometimes just let four be on the floor. After 160 live concerts - from Reeperbahn Festival, Fusion Festival, Jazz Open Stuttgart and X-Jazz Berlin to Jarasum International Jazzfestival (COR), Jazzkaar Festival (EST) or Eurojazz Festival Mexico City (MX) - the international sextett Holler my Dear is looking forward to a glittering Germany tour on occasion of their third CD release Steady As She Goes (Traumton Records).